The calming and quiet moment in the music will give you great charm. But, composing music and getting fame by it, is not everyone’s cup of tea. All famous artists in the world contributed years in exercise before they make their first big gig. Making an invention into the world of music takes patience as is not only about pointing the art. In this way, TK Bands has become the symbol of success. After long patience and practice, TK Bands has attained its fame. The story has shifted out to be an inspiration for many and today the young generation has got so much to absorb from their success. Jeffrey Almanzar aka “TK Bands” has been performing for about five years now. 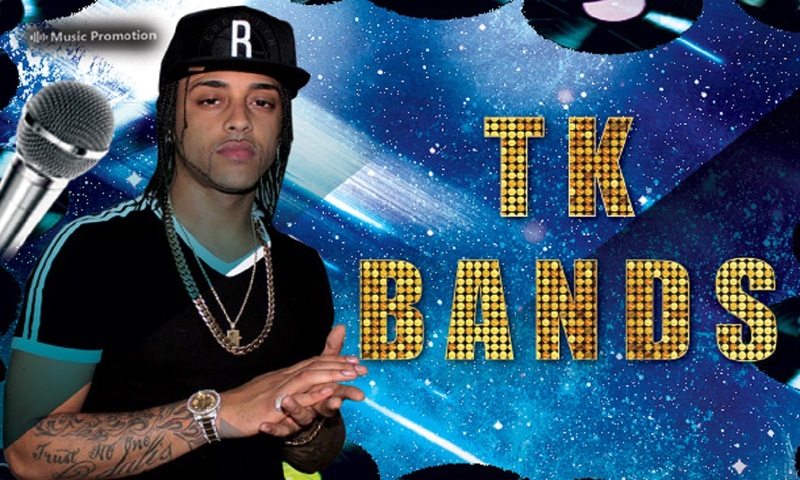 It is not only making loops as an influential artist in the world of Hip Hop music, “TK Bands” has now established itself as a brand. It all started when Jeffrey was searching for a medium to vent his frustrations during the time he was in Brooklyn. As a young artist, Jeffrey used to write random thoughts which turned into poems and ultimately into songs. It was a day in his life when everything changed for Jeffrey Almanzar aka, just when he wrote his first song and made his friends listen to it. The recording was so perfect that his friends had to encourage him to transform his passion for sustainable art. Jeffrey was all set to create a name for himself and enter show-business. Since then, he has performed in numerous gigs and has earned a good reputation. After years, “TK Bands” now resides in the hearts of his fans. They love him, attend his gigs and connect with his music. Though Jeffrey has not received any awards yet for his songs, this has only fueled his passion and made him work harder every day. TK Bands aka Jeffrey Almanzar makes him a “homie” of numerous rappers from the same borough such as Jay-Z, KRS-One, Mos Def, Adam Yauch, Kid Cudi and many more. With over 5 years of rapping experience, TK Bands is one of the fastest growing and highly effectual rappers today. As more and more rappers are getting the much-deserved attention in the present time, it is definitely proving to be encouraging for the amateur ones. Without any doubt, these new bands are bringing in more freshness to the world of music. These new bands and artists are hungry for re-inventing new elements of hip hop music. They do not shy away from coming up with lyrics that are not just quirky but smart too. In this regard, the TK Bands is doing pretty great for sure. There is something about his writing style that makes him so popular and unique in the world of Hip Hop music. According to TK Bands, the source of his inspiration is connected to the tough times he faced in his life when rap music helped him sail through the bad phase. 2019 has already started off with a big bang in Hip Hop. Lil Pump, Gucci Mane, Smokepurpp have announced a supergroup called ‘Gucci Gang’. With the passage of time, it is pretty sure that the lovers of hip hop music are going to come across more original and refreshing music.